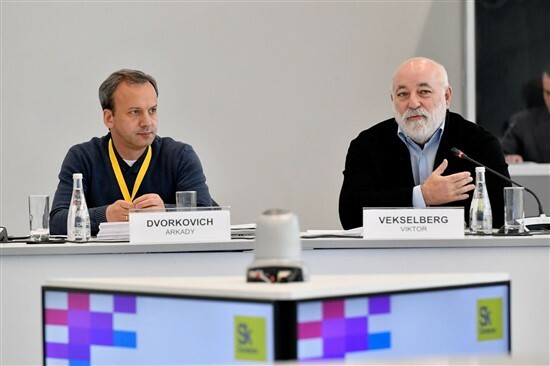 Skolkovo Foundation president Victor Vekselberg and co-chairman of the foundation council Arkady Dvorkovich were appointed Monday to a government commission chaired by Prime Minister Dmitry Medvedev devoted to modernizing the economy and Russia’s innovative development. The new commission will establish the main directions and mechanisms of the country’s technological development, select forms and methods of state regulations, and coordinate the work of state bodies, including within the National Technology Initiative, a state programme aimed at creating new markets and the conditions for Russia to become a global tech leader by 2035, Medvedev was quoted on the government website as saying. The commission comprises 25 people, including Herman Gref, head of Russia’s state banking giant Sberbank, Moscow Mayor Sergei Sobyanin, and presidential aide Andrei Belousov, as well as several government ministers.